President Mauricio Macri and former foreign minister Susana Malcorra are among those who grace the pages of our new special edition – out now at all good kioscos! This weekend is a momentous occasion in Argentina’s history, as the world’s most important leaders converge on the nation’s capital for the two-day G20 Leaders Summit, running November 30 through December 1. Thousands of people are expected to arrive in Buenos Aires over the coming days, including presidents and prime ministers from across the globe, as the world’s eyes turn toward Argentina. 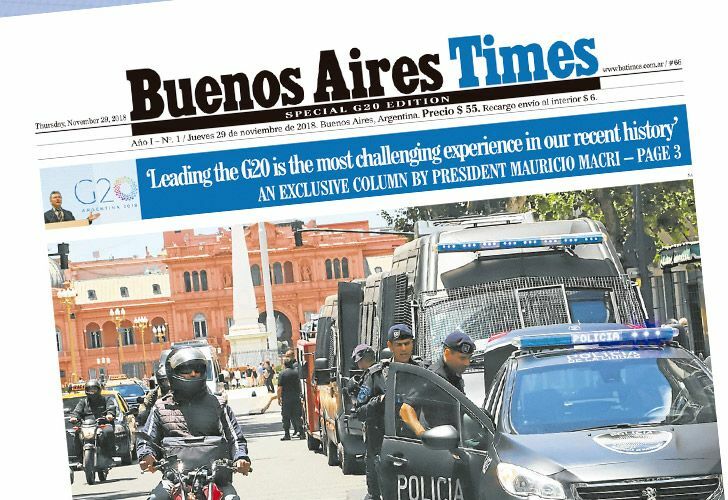 To celebrate, we've launched a one-off, stand-alone, special edition of the Buenos Aires Times, which you can find today at newsstands (or kioscos) in and around the nation's capital. Here's a taster of what you can find inside our special 40-page edition. - Former Buenos Aires Herald editors Robert Cox, James Neilson, Andrew Graham-Yooll. - Ambassadors and envoys from the United Nations and Brazil. - G20 Sherpa Pedro Raúl Villagra Delgado. - Ambassadors to Argentina from Japan, the European Union and Australia. 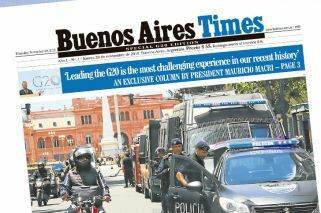 We'll also bring you news, opinion and analysis of the G20 Leaders Summit, Argentina's bilateral relationship with China, British Prime Minister Theresa May's historic visit to Argentina, human rights and the Supreme Court and the biggest themes of the week, including the abandoned Superclásico Copa Libertadores Final. 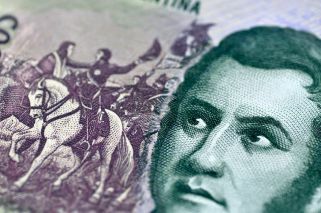 Regular contributors – such as Agustino Fontevecchia, Dan Edwards and Luciana Bertoia – also make an appearance, as they do week after week in Argentina's only English-language newspaper. Pick up your copy at a kiosco in and around the capital today!